Near Wichita State University (WSU), we cater to groups, visiting faculty & students in town to tour the campus. 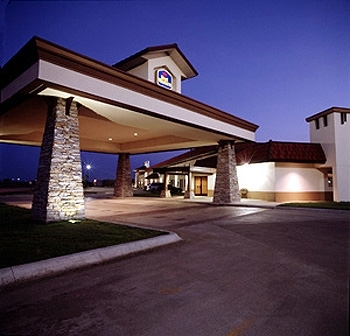 Near Kansas Pavilions or downtown Wichita, put your comfort first. Enjoy an indoor pool & game area. Six miles north of downtown Wichita; easy access I-135 commutes are a breeze. 20,000 square feet of convention space, we’re a popular choice for special events: meetings, receptions & family reunions. Employees of Koch Industries, Alefs Harley Davidson, National Institute for Aviation Research (NIAR) & WSU often take advantage of our spacious meeting facilities. Complimentary hot breakfast Fitness center & guest laundry, our pet friendly hotel makes guests feel at home. Enjoy a swim in the indoor pool or a delectable meal at the attached Country Kitchen Restaurant. Complimentary Wi-Fi, Whirlpool suites & mobility accessibility makes your stay even more enjoyable. Wireless Internet, Indoor Pool, Meeting Room, Business Center, Elevator, Interior Corridors, Guest Laundry, Micro-Fridge in ALL Rooms. Closest Hotel to Kansas Pavilions & Across From Hartman Arena. Free secure high-speed wireless internet, indoor pool, fitness center, meeting room, business center, interior corridors, guest laundry, free hot deluxe continental breakfast. Close to Hartman Arena & Kansas Pavilions.